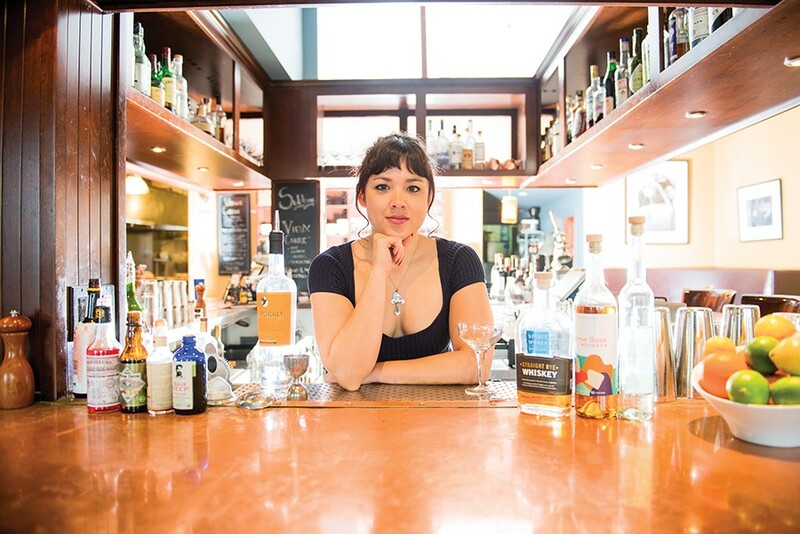 Pilar Reyes most recently bartended at Sidebar, but she faced challenges at other workplaces. Up until several months ago, I bartended at Penrose, a restaurant that came under fire when owner Charlie Hallowell was accused by 17 women of sexual harassment. (Now, that number is up to 31.) After the San Francisco Chronicle reported the story, people asked me, "Is all that stuff true? Did any of it happen to you?" I could only respond, "This is the tip of the iceberg." I learned early in my bartending career that I was supposed to let it slide. That was the professional expectation: Sexual harassment happens, and you just have to accept it. If you don't like it, find another job. It's as though sexual harassment is a hazing process meant to weed out the weak. The first time it happened to me was a harrowing experience — a story that too many of my female colleagues will find familiar. Working alone after last call, a drunken boss tried to kiss me and I ran away. When I went back to the bar the next day, I told my coworkers, but they said they couldn't do anything about it. He was our boss. I still had to work with him daily for several months before I found a different job. I wish I could say that was the only time something like that happened. I wish I could say it was rare. But the fact is I know too many people who have had similar experiences. I have heard stories about getting groped in the walk-in refrigerator, dealing with drunk bosses dropping racial slurs, and getting offered promotions in exchange for sexual favors. It's a pervasive problem that too often is met with indifference — and that indifference reinforces a sense of powerlessness in the workplace. Workers in bars and restaurants face so many problems that are often invisible to customers. People of color are less likely to get higher-paying front-of-house jobs — instead they are kept in the back, where customers can't see them. Women are less likely to be promoted to positions of power and leadership, and many women regularly deal with situations similar to what I experienced. Trans people rarely make it past the first interview. Foreign language services for workers are few and far between, leaving some at a professional disadvantage, especially as ICE raids loom overhead. Many turn a blind eye to working conditions and labor law violations — some workers just don't know, others fear retaliation, and most can't afford to miss a day of work. When management fails to correct these problems, we are left with few options. Hiring a lawyer seems like an obvious answer, but who has the resources to work a full-time job and pursue a lawsuit? Realistically, we have to choose between staying in a toxic work environment or quitting and working somewhere else. Neither of those options does anything to correct the underlying behavior. Instead, the problems continue to grow. It's shocking that this is still such a pervasive issue in a place as progressive as the Bay Area. There were many nights when I served drinks behind the bar while protesters marched by, decrying police violence, shouting out that Black Lives Matter, and, most recently, advocating for women's rights. This activism has the potential to radically change the problems facing restaurant and bar workers, but for some reason those ideals are checked at the door. Where is the outrage at working conditions that condone sexual harassment? Where is the anger at racist hiring practices? Where are our protests against known abusers? As it stands currently, customers have no way of truly knowing about working conditions at restaurants. They can look at a health department scorecard or ask if the vegetables are organic. But they have no easy way of asking, "Does your boss treat you fairly?" That isn't the first thing on their minds when heading out to grab a drink, to enjoy a meal, to have a good time — nor should it solely be the customer's job to hold bad bosses accountable. Cooks, bartenders, servers, bussers, hosts — we are all essential members of this community. We deserve to be able to do our jobs without fear of retaliation for asking for fair and safe labor environments. We deserve access to both resources about workers' rights and also the means to ensure that those rights are respected — in every language. We deserve protections that will hold bosses accountable for sexual harassment, racial discrimination, and labor violations.